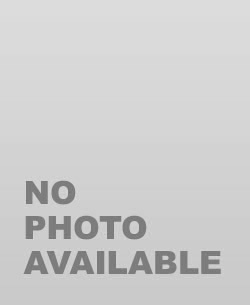 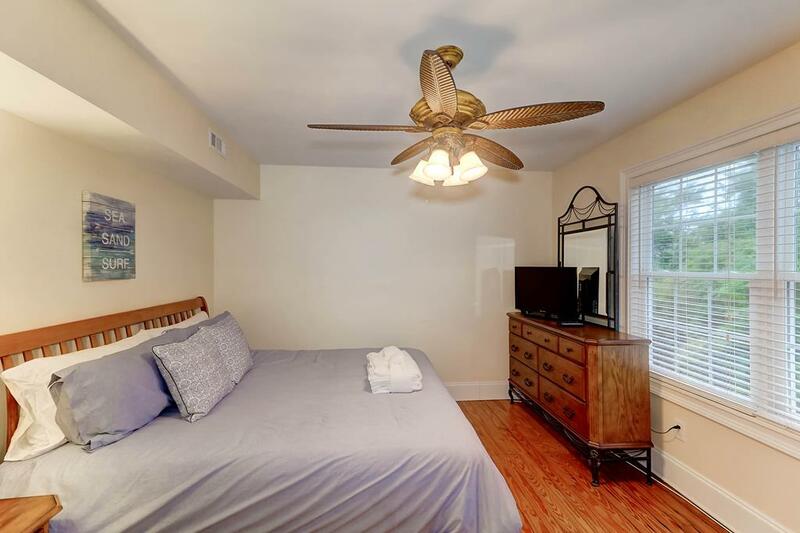 72 people are interested in this property! 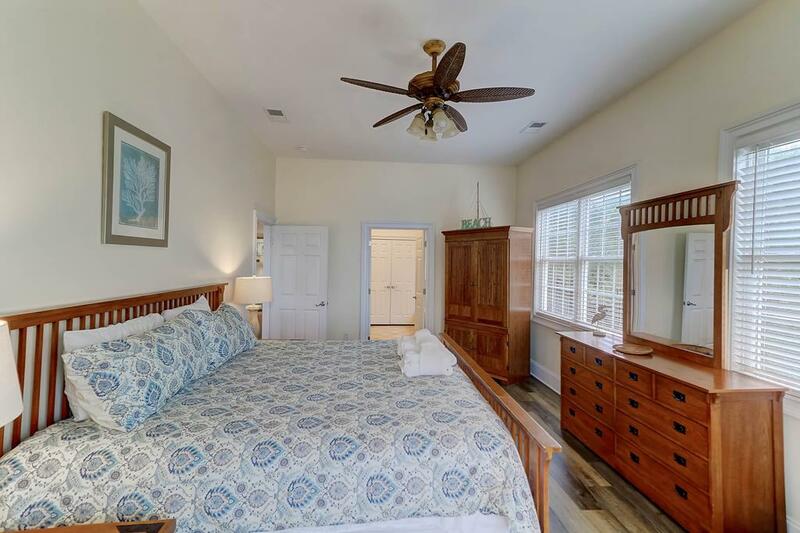 $250 worth of beach equipment from VayK Gear for any new 2019 reservation! 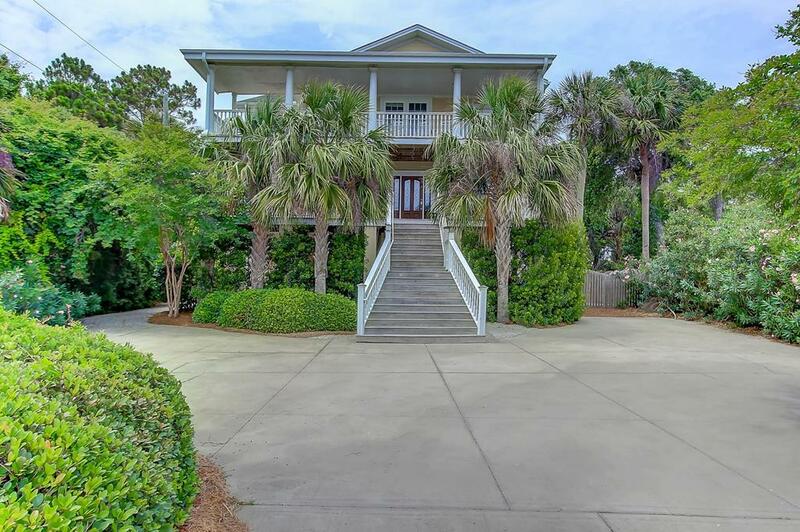 Welcome to Southern Charm on Folly Beach! 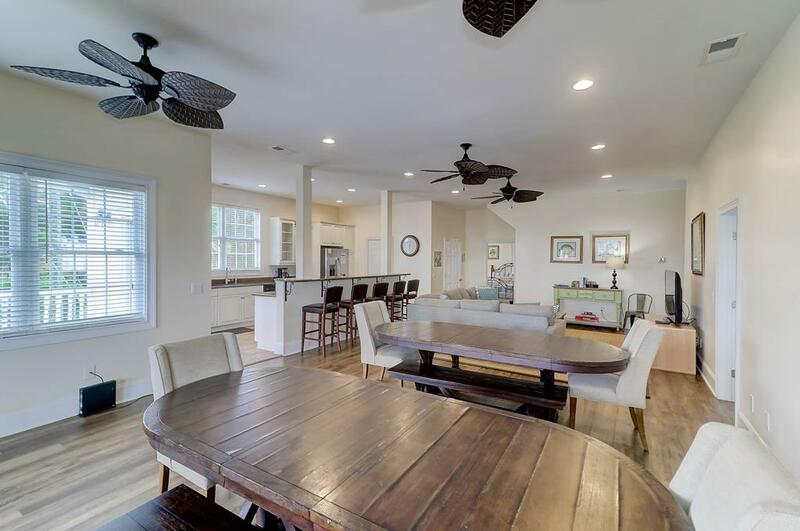 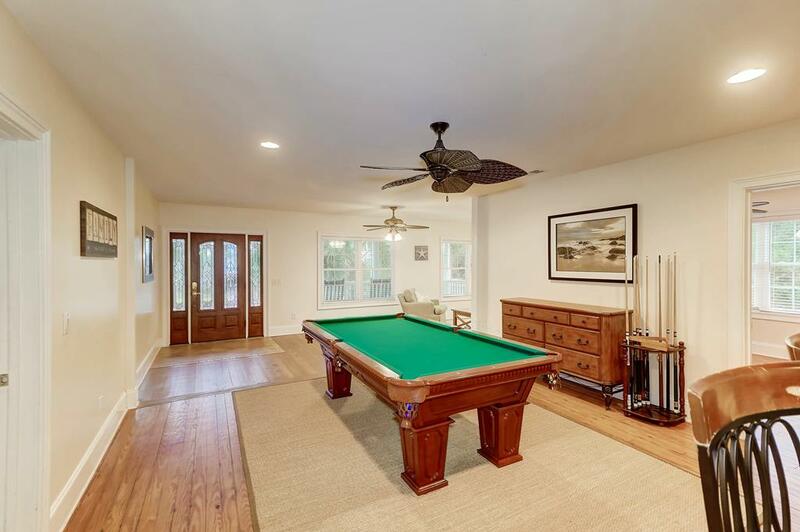 This gorgeous house is perfect for the large family vacation on the Charleston coast. 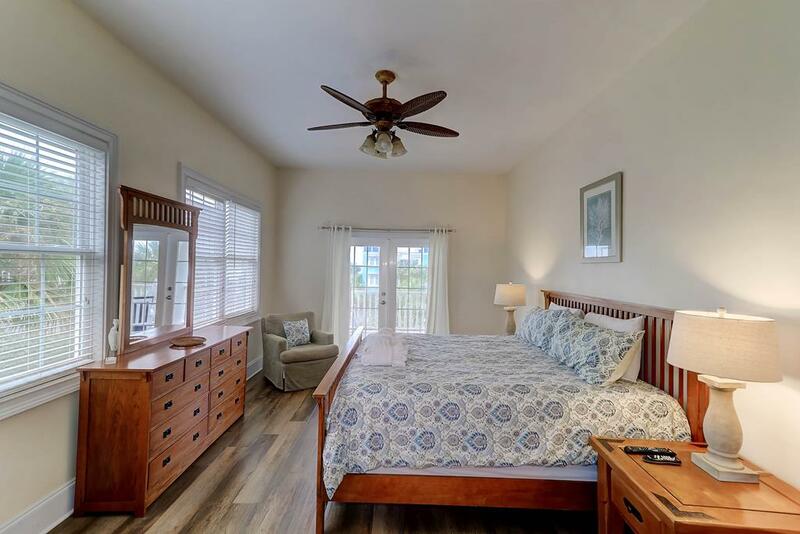 The home is directly across the street from the beach access, has tropical landscaping and private heated pool! 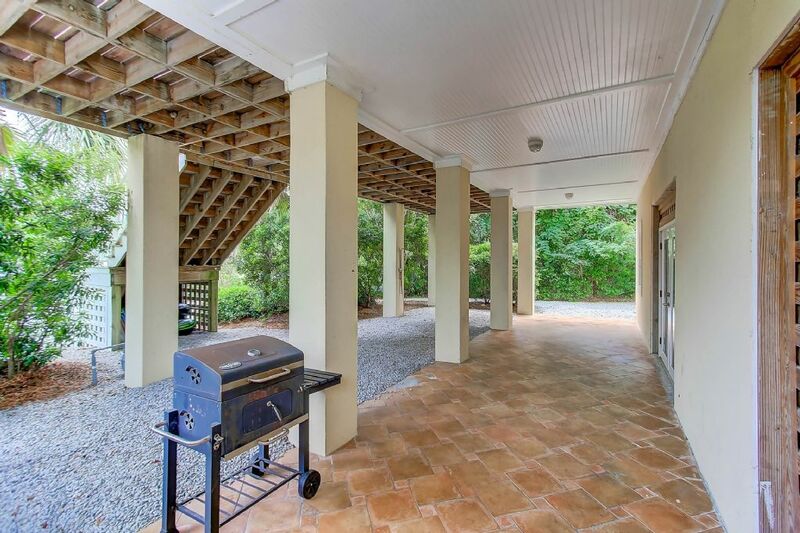 The expansive porches allow guest to enjoy all that Charleston living is about. 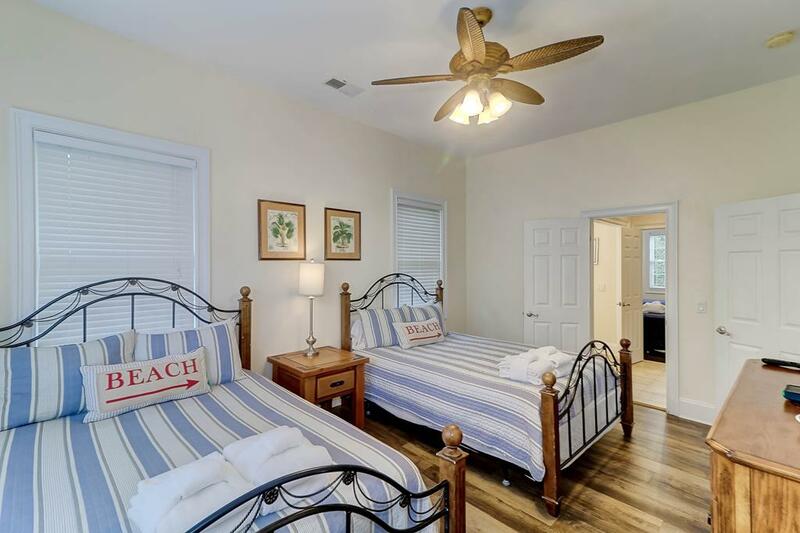 Southern Charm will be a repeat vacation destination for years to come. 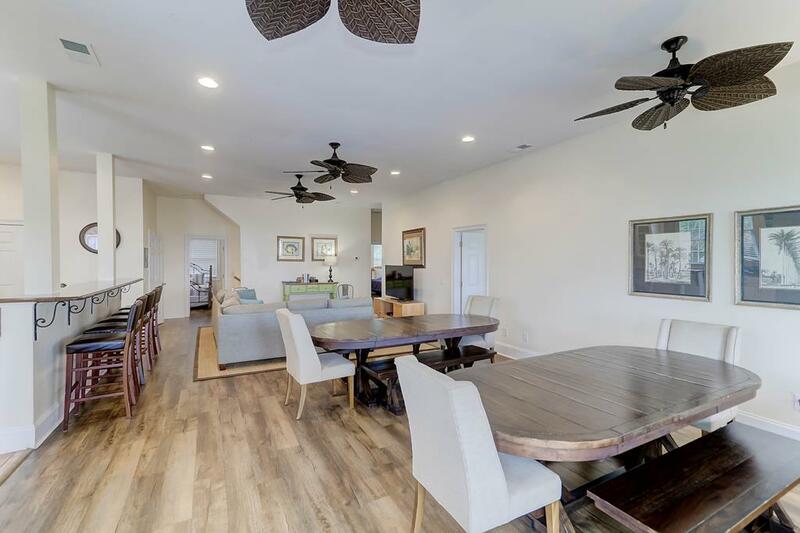 Upon entering the home you will notice the large living areas that allow multiple generations to share the home together. 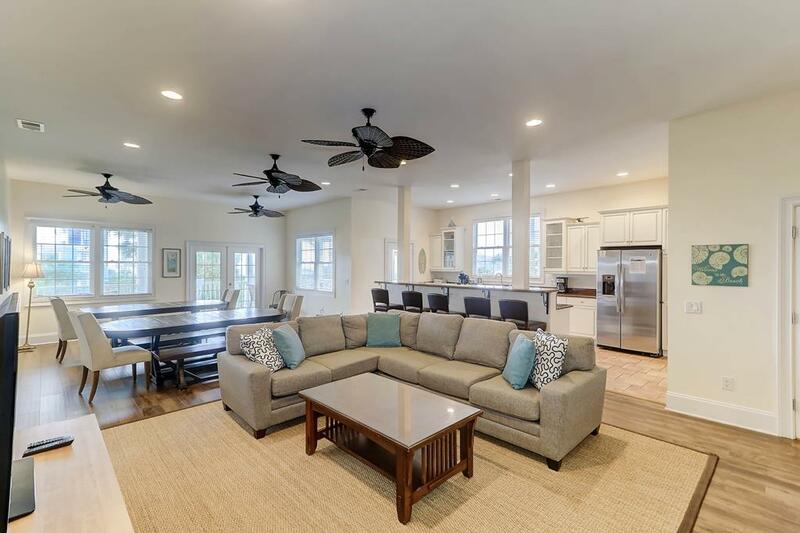 The first floor features living area with plush couches and flat-screen TV as well as kitchen area complete with fridge, glass-top stove, oven and microwave. 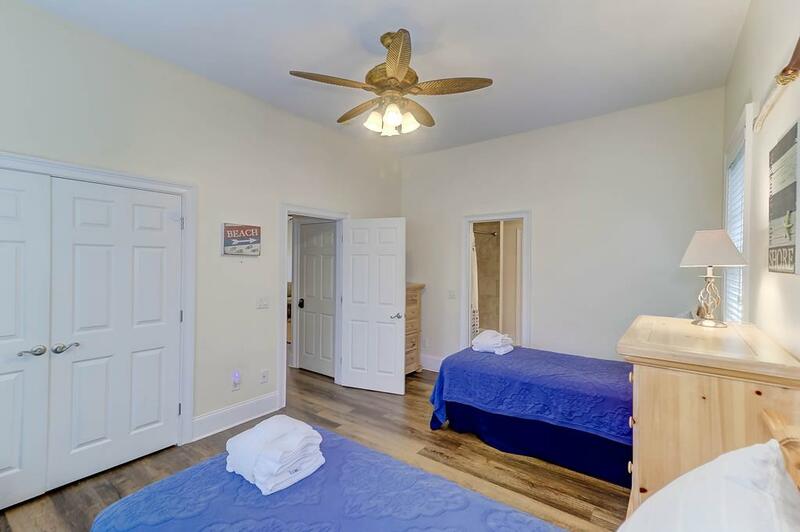 The floor includes 4 bedrooms to sleep 10 guests and includes 3 full bathrooms. 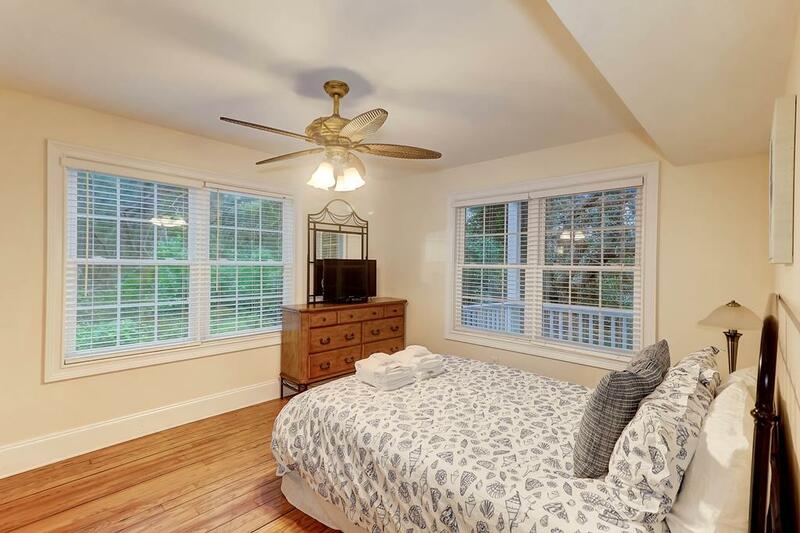 The first bedroom has king and double bed with private bath. 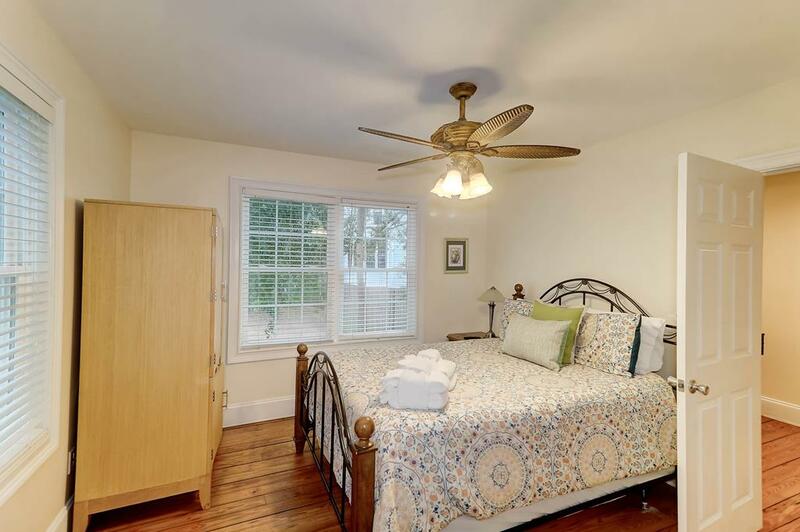 The second bedroom has queen bed and shares a full bath with the third bedroom which also has a queen bed. 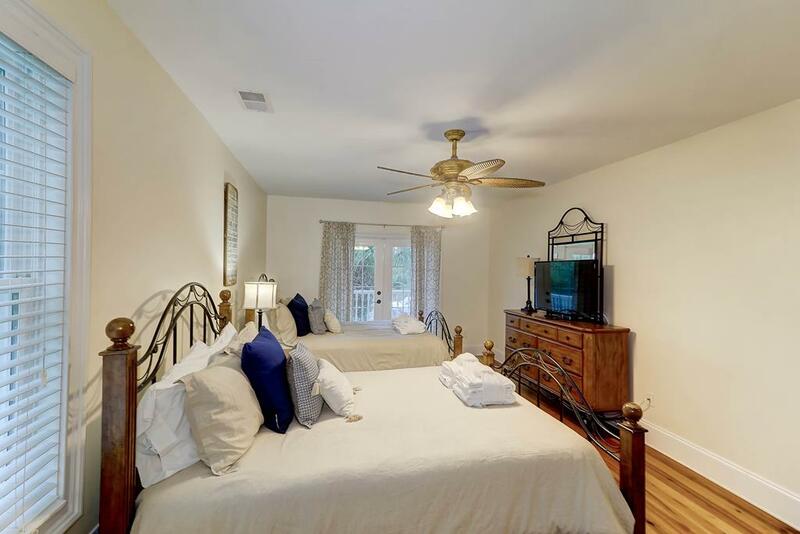 The fourth bedroom has queen bed and private bathroom. 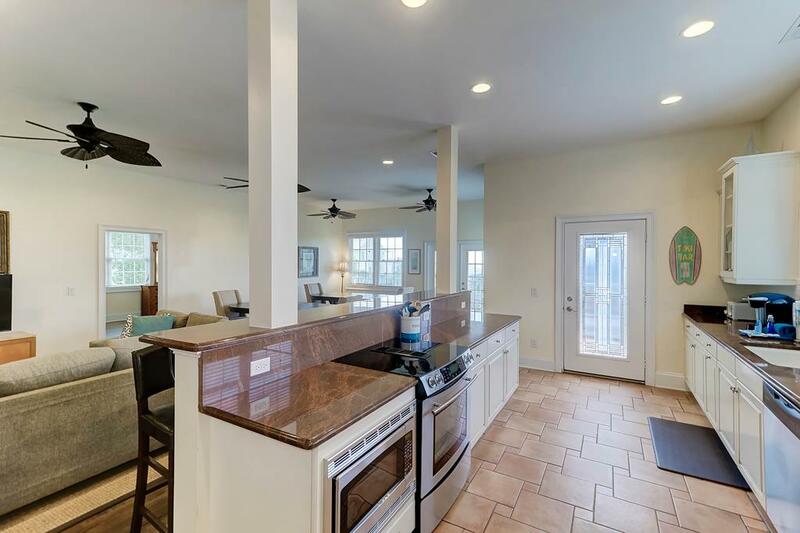 The second floor features an even large living area with the main kitchen. 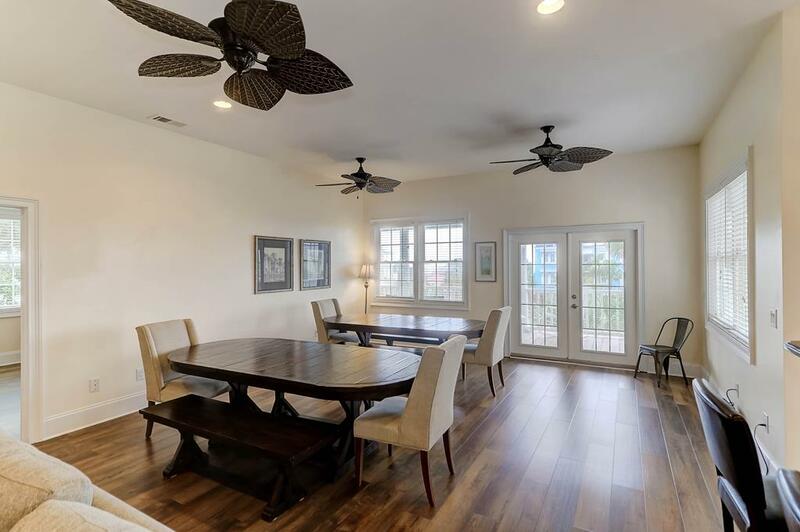 The large dining table is perfect for family meals or game night. 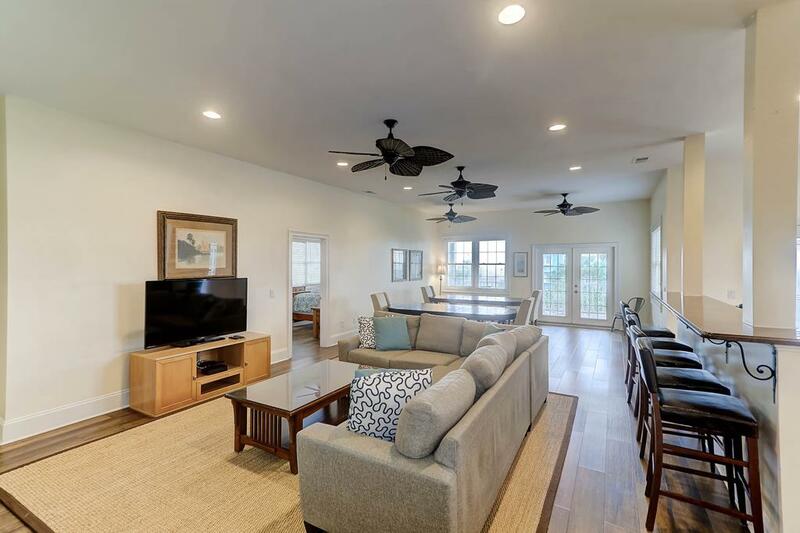 Flat-screen TV and sectional couch provide entertainment for any rainy day on the beach. 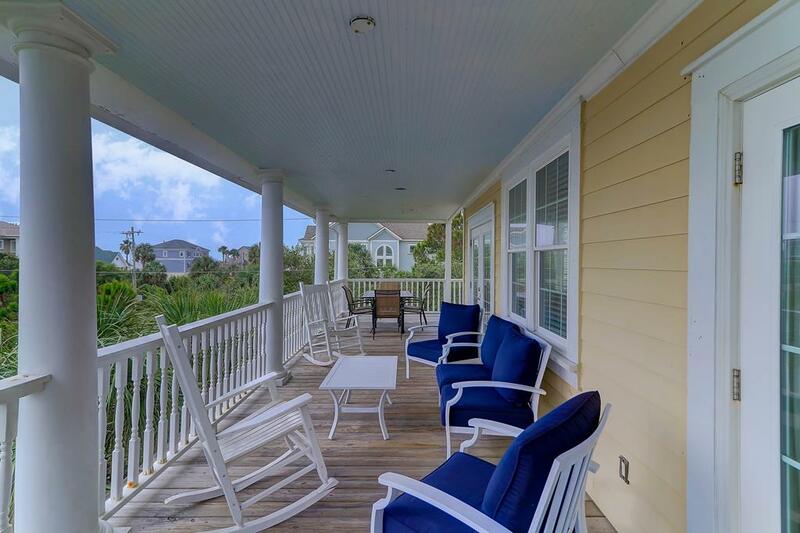 Large sliding glass doors provide natural light and ocean breezes as well as access to the porch with ocean-views. 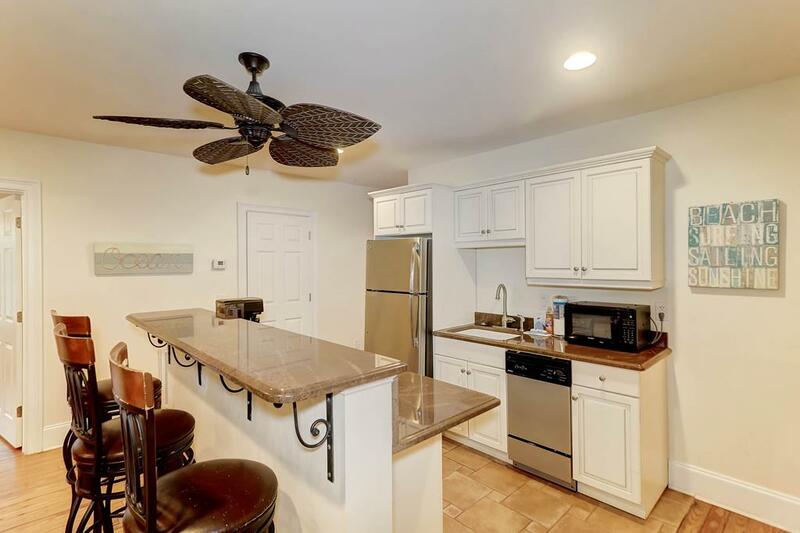 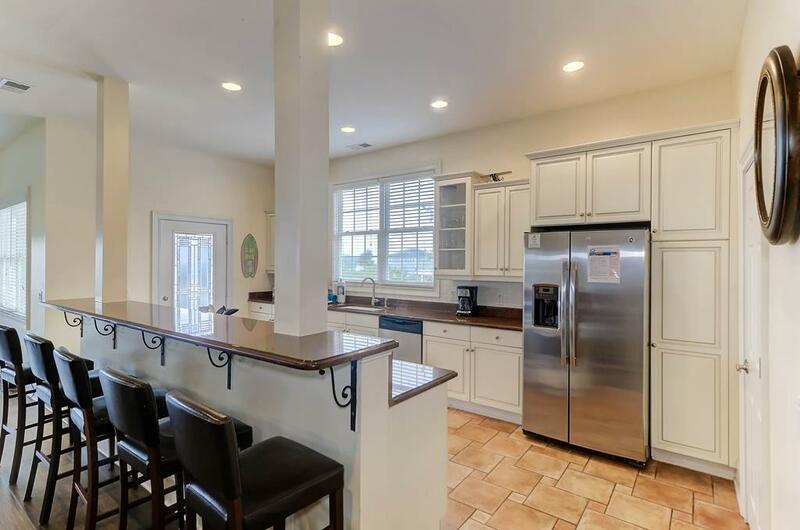 The kitchen has marble counter-tops and stainless steel appliances. 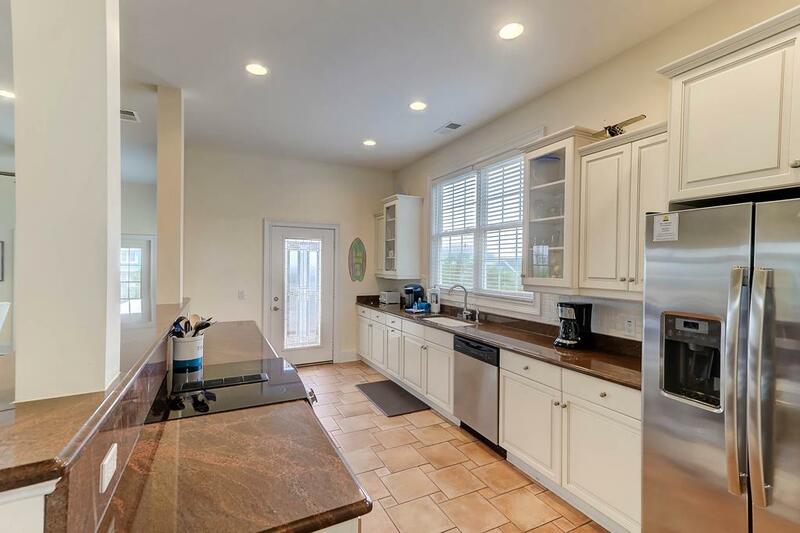 The owners have ensured that the kitchen is well stocked and has all of the gadgets even the most discerning family chef would require. 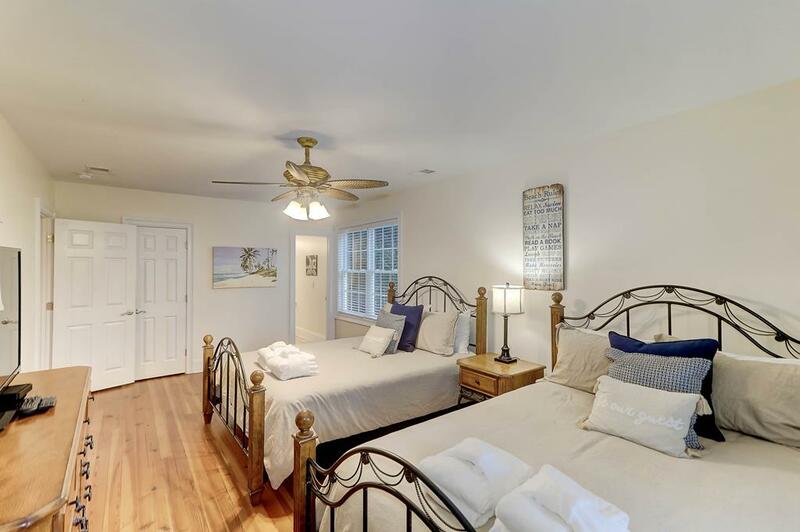 The bedrooms on the second floor include the master with King bed and private bath. 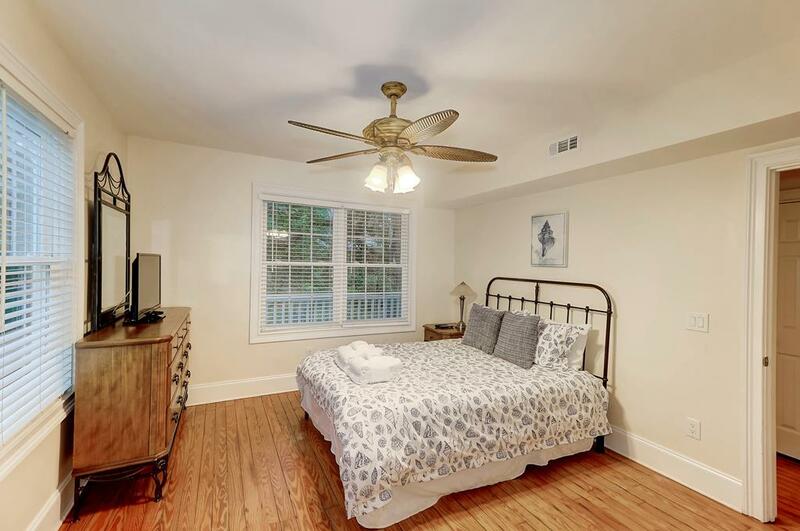 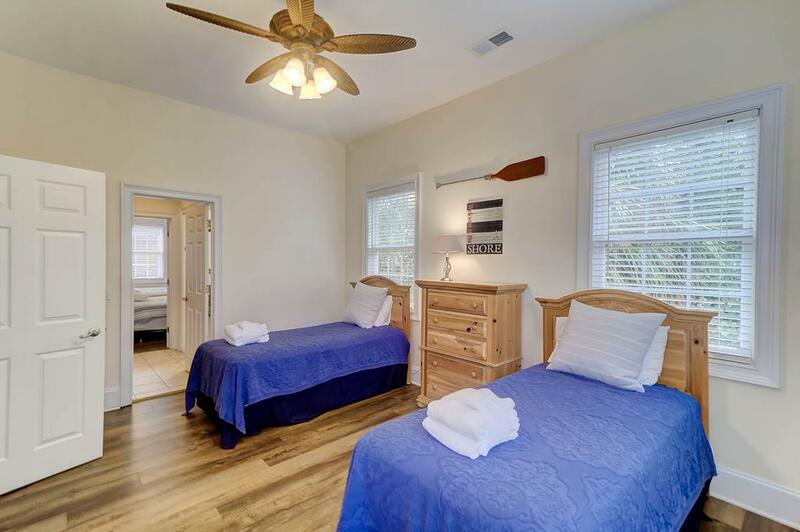 The remaining two bedrooms share a full bath, one room has 2 queen beds and the other has 2 twin beds. 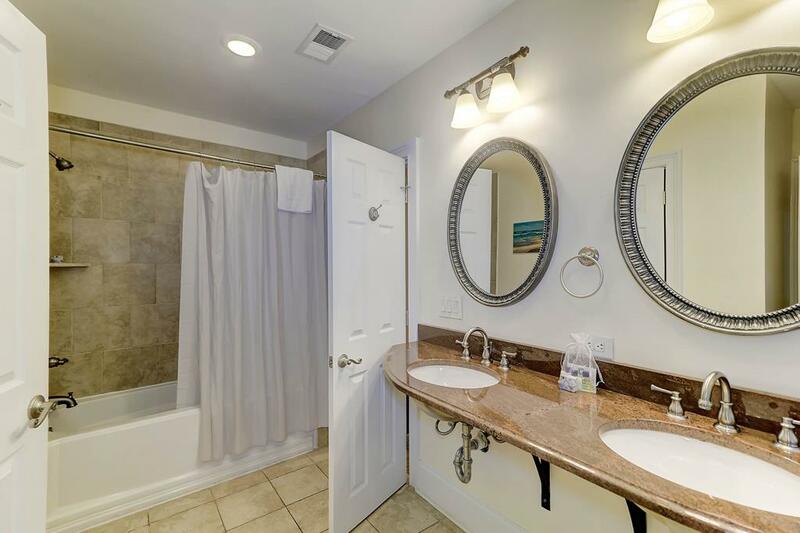 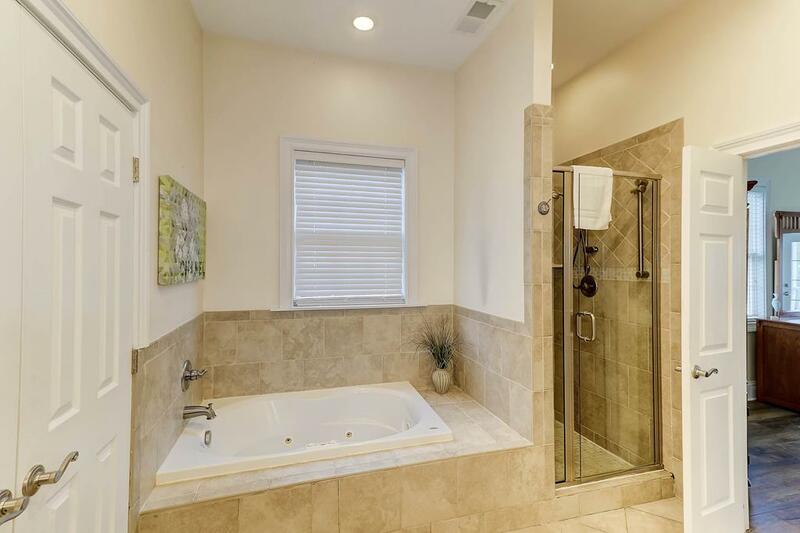 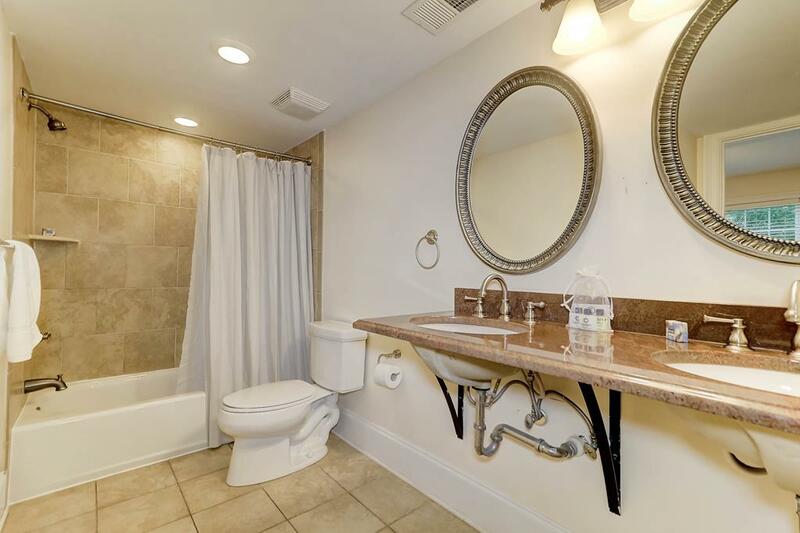 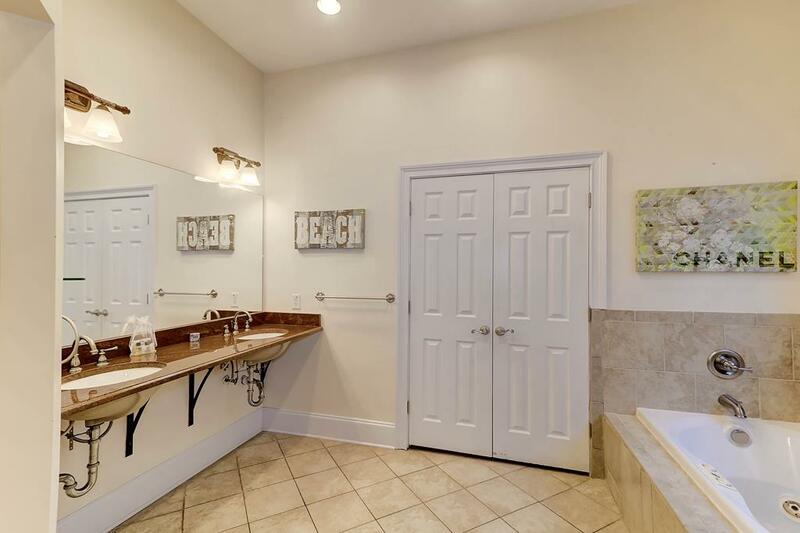 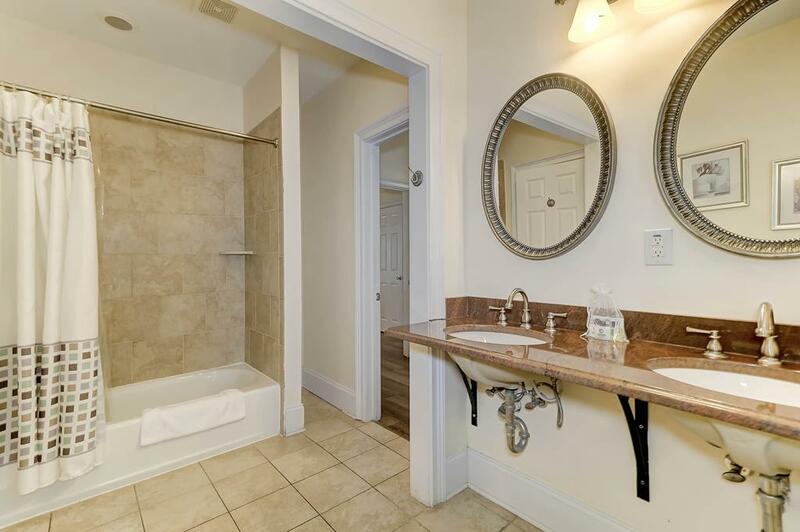 There is an additional half bath for added convenience. 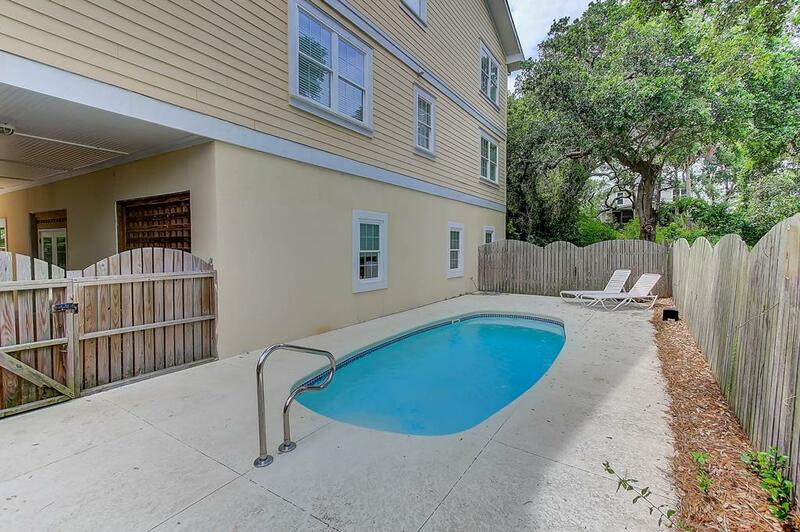 The private pool helps to complete the relaxation vibe and has gas grill close by for cooking out. 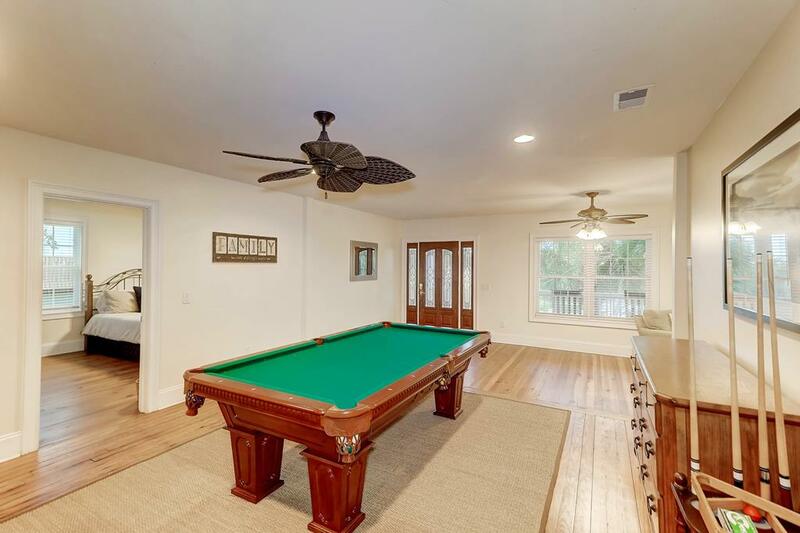 Pool can be heated in the off-season at an additional cost. 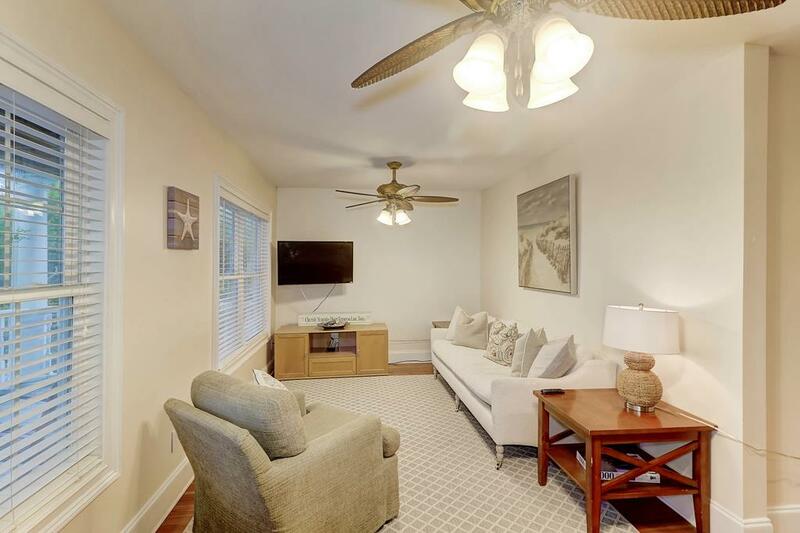 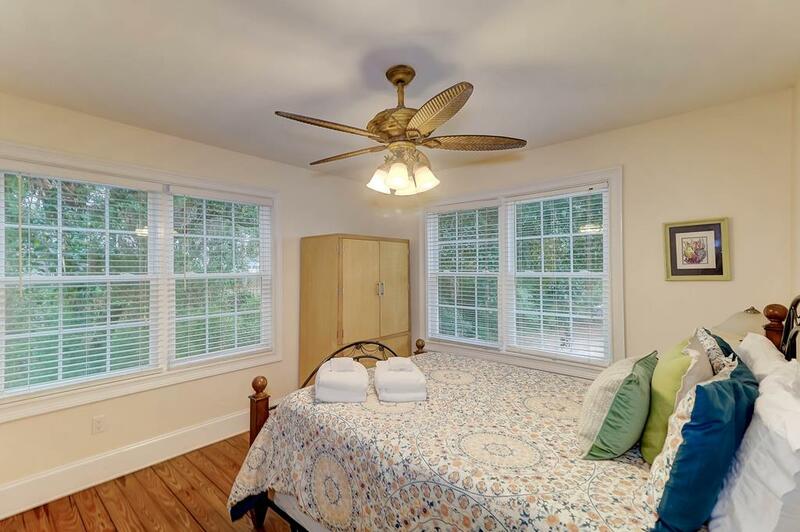 The home is within walking distance of Center street to enjoy the Folly Beach night-life. 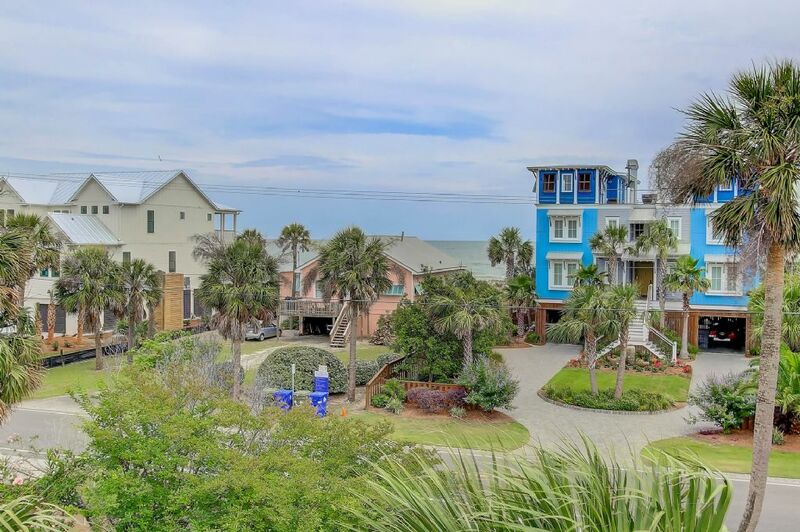 Located on the west side of Folly the beach is quieter and does not have large crowds. 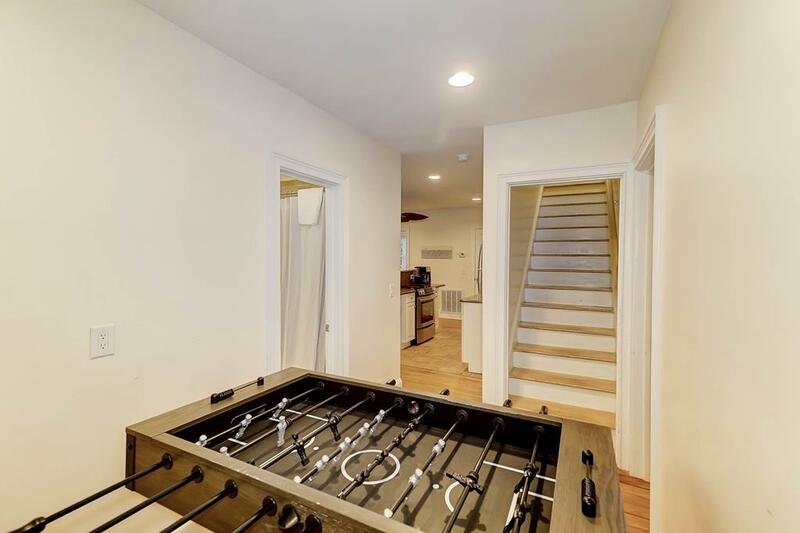 This home is non-smoking and not pet friendly. 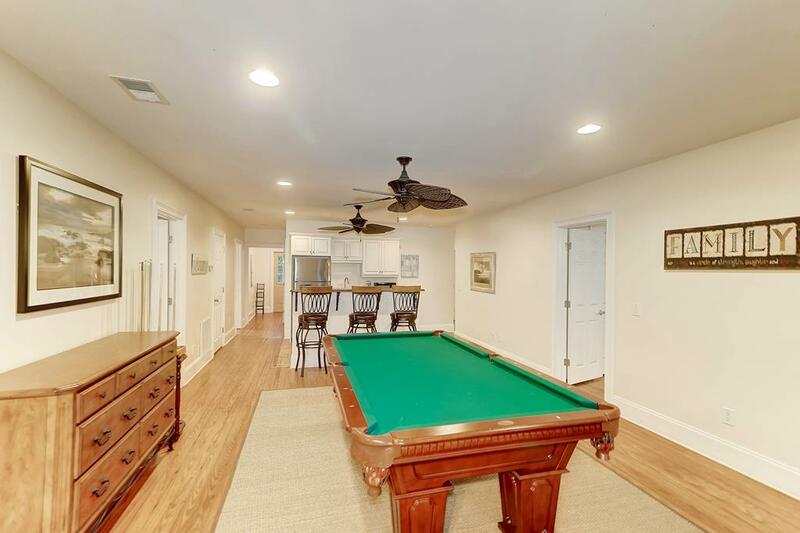 No events/parties allowed that exceed the maximum occupancy of the home. 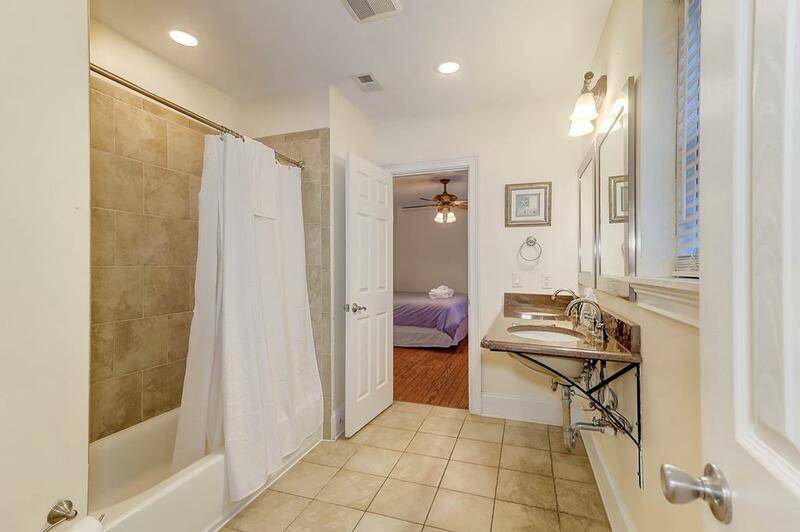 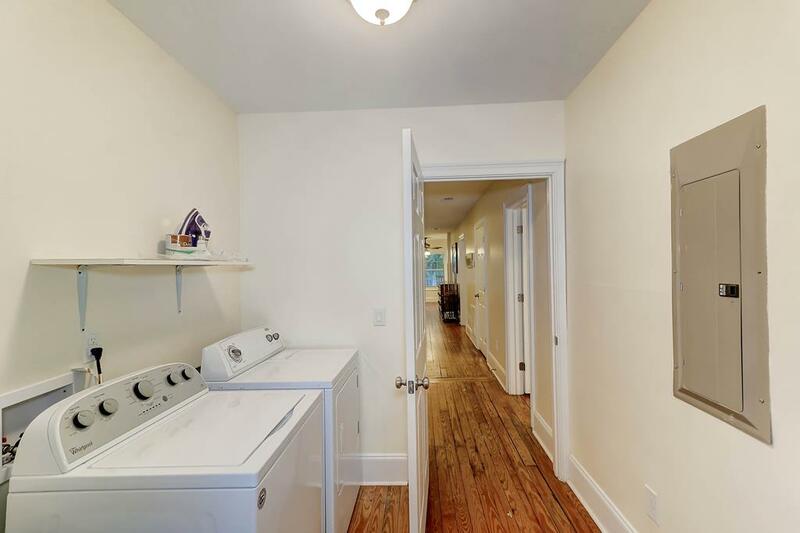 All of the modern conveniences you would expect such as Wifi and washer-dryer are included. 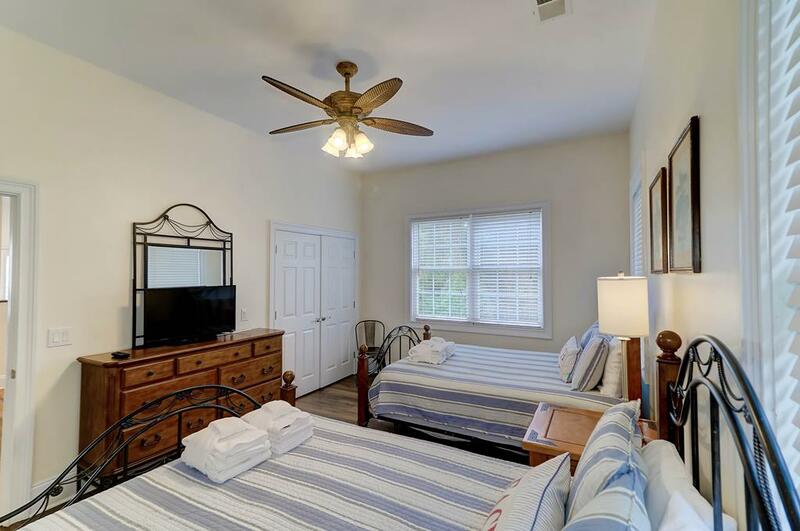 Call Carolina One Vacation Rentals at 843-588-1212 to book your stay today!